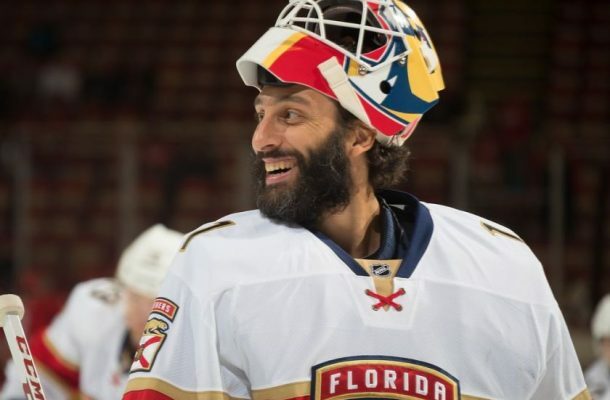 Veteran netminder Roberto Luongo has returned to the lineup of the Florida Panthers and since his return on November 2, 2018, Luongo has a 4-2 record, with a 2.48 goals against average and a 0.918 save percentage. These are impressive numbers for the 39 year-old goaltender. There was high hopes for the Panthers at the start of the 2018-19 season. They had finished the previous campaign with 17 wins in their final 25 games and had added more depth and scoring punch. However, early in the new season, the Florida crew found themselves playing well below expectations, losing the first four games of the season. They snapped this losing streak with a shoot-out win over the Washington Capitals but found themselves losing 4 out of the next 5 games. With Luongo’s return on November 2, the Panthers ran up five straight wins. This success can be contributed to an outstanding performance by Luongo rather than stellar play in front of him. Returning to the lineup, Florida was scheduled for a back-to-back set with the Winnipeg Jets as part of the NHL’s Global Series games in Finland. With the veteran Luongo’s in net, the team seemed to be sparked and the netminder helped stop the defensive bleeding. Luongo faced 34 shots against a powerful Winnipeg offense allowing just two goals against, giving the Panthers a 4-2 victory. The streak continued, allowing the Florida squad to pull their record to 7-7-3. What is more impressive, the Florida team has the 9th best goals against average in the league, allowing just 55 goals in the young season. There is no denying that Luongo has bailed out his team defensively since his return to the crease. He has allowed only 16 goals and has allowed the offense to do what it does best. Luongo has brought some consistency back to the crease and the the offense has started to find another gear, raising its scoring to new levels with the off-season addition of Mike Hoffman paying off early in the campaign. If Luongo continues to elevate his game over for the remainder of the season, the Florida Panthers will become a force in the Atlantic Division.